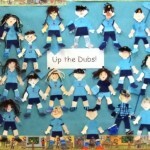 Room 3 – SUPPORTING THE DUBS!!! 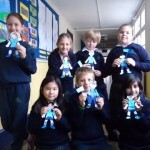 Room 3 are showing their support for the Dublin GAA team before this weekend’s All Ireland Football Final in Croke Park. 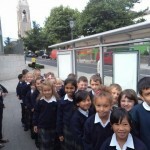 Dublin will be playing against Mayo. 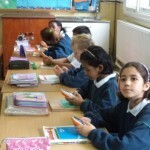 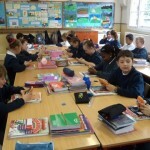 Room 3 – super technological! 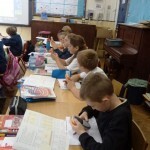 Room 3 were using the electronic voting pods in class. 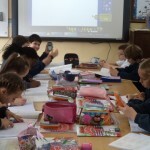 They could send the answers to the questions that Ms. Barrett asked! 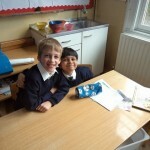 It looks like they had great fun. 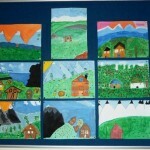 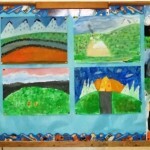 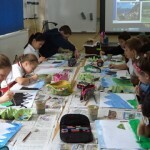 Room 3 were very busy painting the pictures of the Swiss Alps! 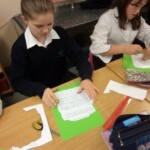 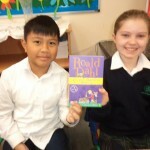 Room 15 – Roald Dahl Day! 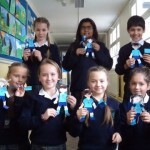 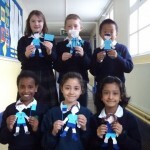 Room 15 have been enjoying reading ‘George’s Marvellous Medicine’. 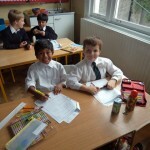 We created our own Marvellous Medicine recipes on Friday 13th of September which was Roald Dahl Day. 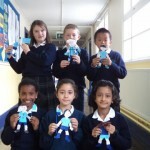 We had lots of fun creating them. 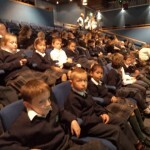 2nd class trip to visit an author! 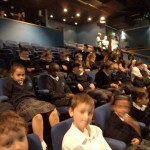 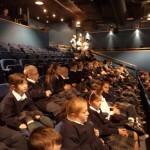 2nd class children really enjoyed their trip to the Pavillion Theatre in Dun Laoghaire. 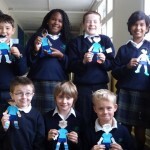 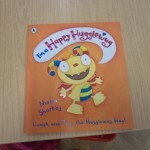 They met the author Niamh Sharkey. 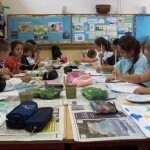 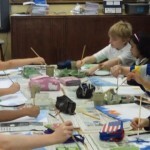 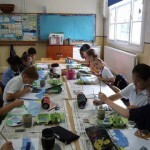 The boys and girls participated in a drawing workshop. 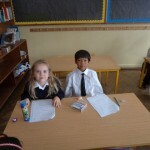 They had great fun. 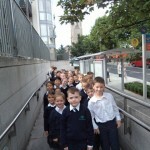 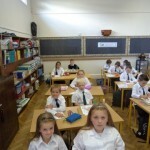 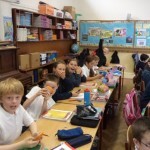 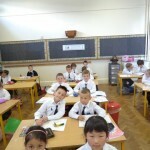 On Thursday 29th of August some new boys and girls entered the doors of St. Louis SPS. 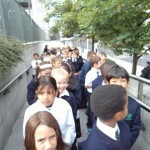 The boys and girls in Room 2, Room 6 and Room 11 were very brave and went into their new class. 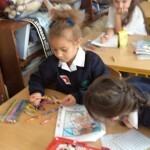 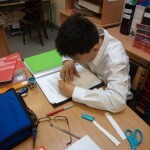 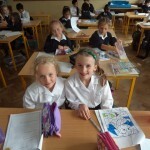 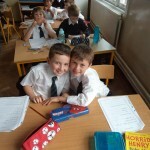 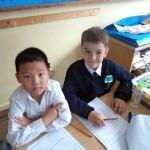 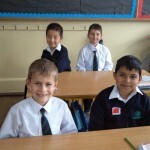 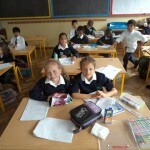 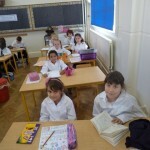 Since then the pupils have been working very hard and getting to know their teachers. 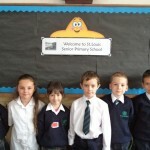 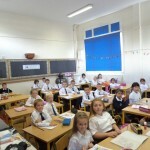 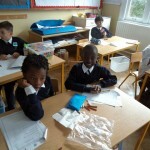 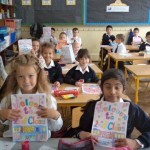 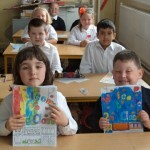 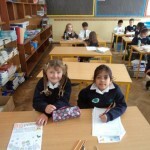 A special welcome to all the new pupils in 2nd class! 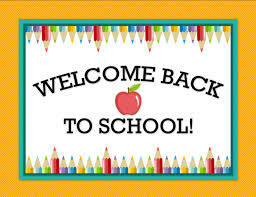 Hope everyone had a great summer and it settling back into school life! 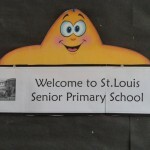 Keep an eye on the blog this year for all the up to date news from the classes in St. Louis!